STeP-IN is all about QA, Software Testing and Quality Engineering. We talk, discuss and chat about agile, DevOps, mobility, IoT, quality and a bunch of other stuff, as long as it has got something to do about QA & Software Testing. For more than 12 years, STeP-IN Forum’s Testing Conferences has been the most successful and widely acknowledged gathering of software testing professionals, and for most people, the premier knowledge and networking event on the software testing calendar. 12 years later, we prepare for STeP-IN SUMMIT 2016 – the 13th international conference in software testing. If you are passionate about software testing and if you have the zeal to take your career ahead in testing, then you really should be there with us in Bengaluru(India) on 3rd and 4th August. 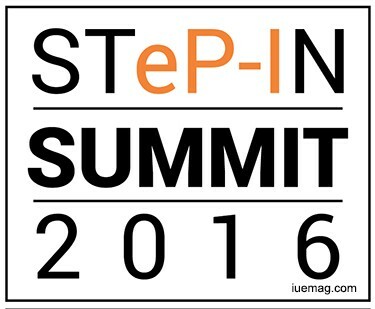 The hottest topics in the industry will be covered during STeP-IN SUMMIT 2016. The conference features two full-day conference in Bangalore (Thursday & Friday), full day workshops in Pune and Hyderabad and a full-day Automation Contest. Quality Engineering is an integral part of any development process encompassing - Enterprise-wide defect management, Continuous improvement, Performance engineering, Operational engineering and Security Assurance. With the advent and know-how of digital technologies, testing and QA are more critical than ever before. The challenges and strategy of ensuring Quality Engineering in this new Digital World are evolving and they will need a tremendous change in Test Life Cycle and process including innovation solution. We need to address the fact that solutions are evolving via experimenting, quick learning and sharing of knowledge. STeP-IN SUMMIT's 2016 theme on 'Global QE in a Digital World' is one such attempt to share and learn across the global on various trending test solutions. Any facts, figures or references stated here are made by the author & don't reflect the endorsement of iU at all times unless otherwise drafted by official staff at iU. This article was first published here on 21st May 2016.